Oxford, Maryland Sea Glass? Upload a photo! 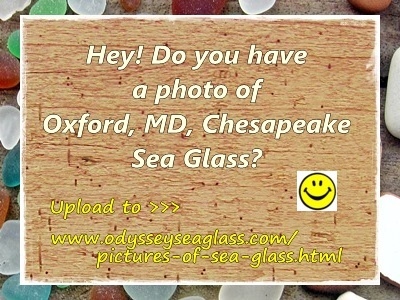 Sea Glass in Oxford, MD? Amy was wrong when she said there is no sea glass in Oxford. MD. I found a huge amount there last year but it was in front of a private house. The area was the original dumping site for the town of Oxford in the 1800s which is under water now. There are many pieces of sea glass and pottery shards constantly washing up on the beaches. If she lives there and knows her history, she should be able to find the beaches. Can I go with someone moved here 25 yrs ago out military. Don't have a car so I haven't seen alot of Md. Live in Baltimore City. lots of pottery shards, nothing real exciting. This was on the main beach near the Ferry. 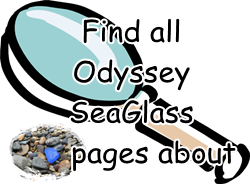 I just recently began collecting sea glass and live in the Oxford area. I went to the Oxford strand today and a few weeks ago and found several pieces. Colors include clear, brown, and blue. I also found what I now believe (after reading these comments) was broken pieces of pottery. Great beach to sea glass hunt this time of year as not many people are around! I have not been back to Oxford to hunt for Sea Glass but I hear that Tilghman's Island right near there has lots on a good day (low tide). I am anxious to go there this summer. I just began to collect sea glass in 2010. I found a piece of white, completely frosted glass near the Ferry in Oxford. It is a perfect shaped heart. I don't mean a "sorta" heart shaped piece of glass. It is the most perfectly shaped heart item I have ever seen. You can even see the sand, which eroded the middle part (looked at it with my jeweler's loop). No I have not been back since that one time that I found a lot of seaglass in Oxford, MD. It was 2 years ago. I am sure it is still there but it was on private property. Keep looking on the beaches. Sue or Amy, do you have any new info on this beach?? ?